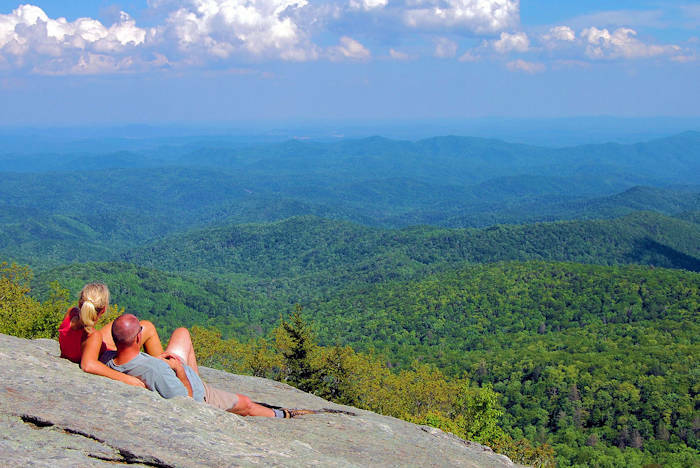 The hidden Flat Rock hike along the Blue Ridge Parkway provides fantastic views of Linville Valley and Grandfather Mountain from atop a broad rock summit - perfect for picnics. And it's an easy, wooded 6/10 of a mile loop trail with informational signs along the way about interesting trees, plants and geological features. 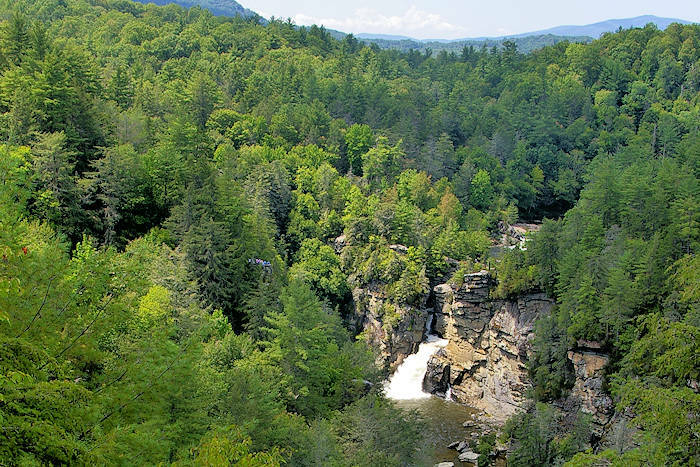 Located a Milepost 308.3, it's just eight miles north of Linville Falls and four miles south of the Linn Cove Viaduct. 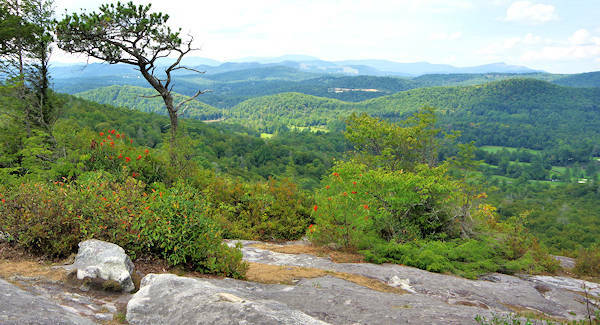 The overlook has a parking area with a wooded view and small sign (elevation 3987 feet). The trail is easy to follow and goes slightly up hill to the summit (about 4,100 feet in elevation), so it's perfect for most fitness levels. Shortly after you begin the trail, you'll see the end of the loop on the right. Continue straight ahead. 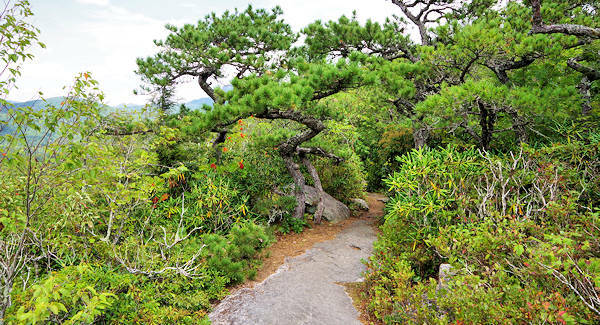 The trail through a dense and diverse forest has some roots and small rocks to watch out for. Our favorite feature are the "bathtubs" which the sign at top describes as "shallow basins in the rock, result of rain, wind and cold." 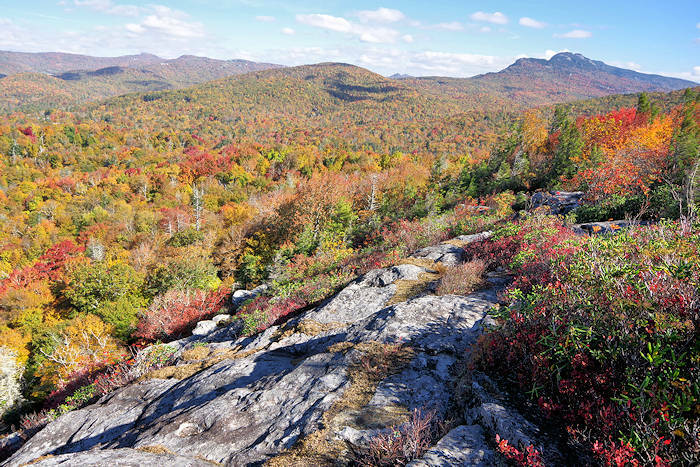 At the top, the trail turns to the right by several expansive views from the boulders - including Grandfather Mountain. Venture toward the edge to peak down into the valley. But be careful! 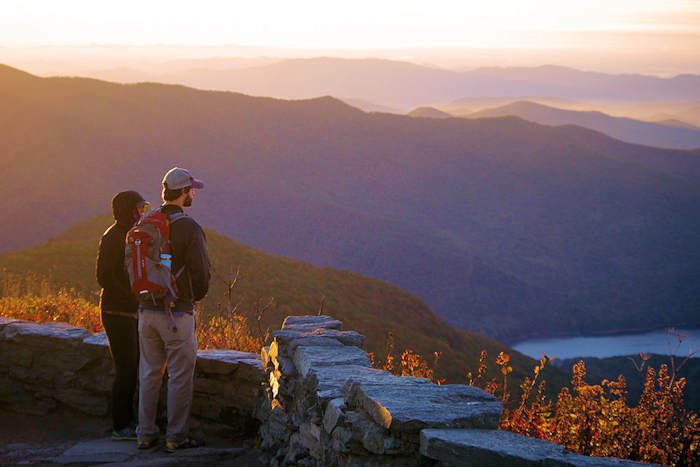 Take time to soak in the views. Often, you will be the only one there. Take a picnic. Continue the loop to circle back to the beginning. 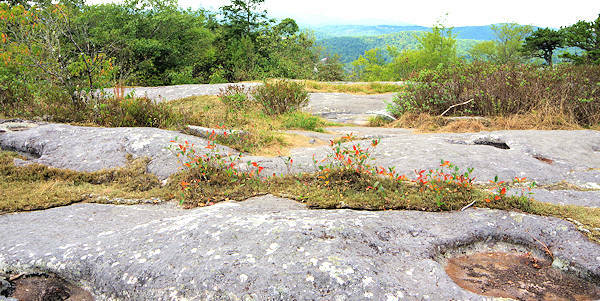 A nearby similar hike with a big view to the east is Beacon Heights, just three miles north. 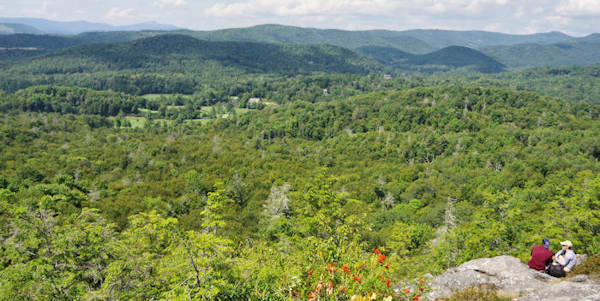 Directions from Asheville: Drive north on the Blue Ridge Parkway about 73.5 miles from the Folk Art Center. If you take this scenic route, allow more than two hours one way. You can also reach this section of the Parkway faster via US 221 from the Marion area.